Who Looks Best in Gucci's White Jumpsuit: Alesha, Beyonce, or Bella? 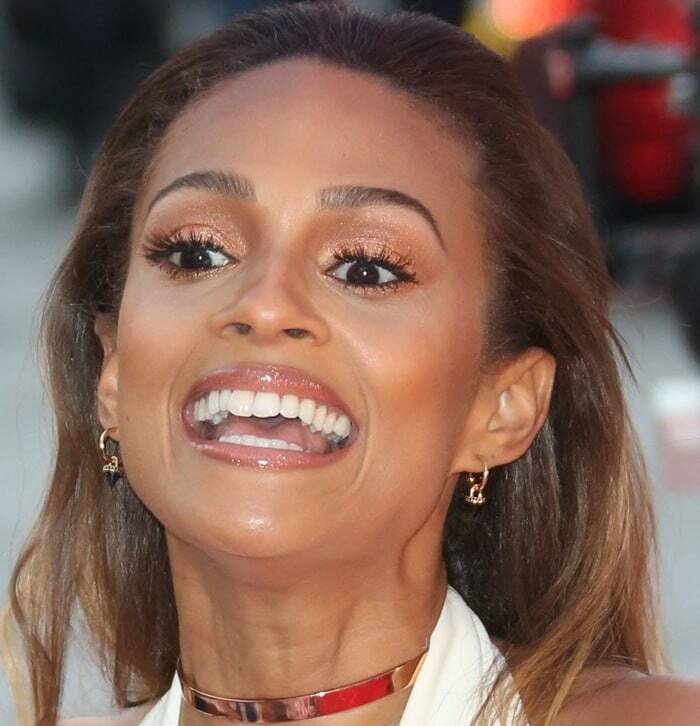 Alesha Dixon showed off her cleavage at the Britain’s Got Talent auditions held at the Birmingham Hippodrome on Thursday in Birmingham, England. The 36-year-old English singer, dancer, rapper, model and television presenter sported the same Gucci jumpsuit seen previously on Beyonce and Bella Thorne. She accessorized with a gold choker, gold necklaces, and completed the outfit with a pair of black chain-accented sandals. Bella Thorne is fast becoming a regular at high-profile events. With movies, endorsements, magazine covers, and a TV show under her belt, you could say the teen is one of today’s hottest young stars. A the ‘Horrible Bosses 2’ premiere in Hollywood, Bella took a page from Beyonce’s style book and rocked the same outfit Queen Bey wore to the Chime for Change event back in June — a white halter jumpsuit and platform ankle-strap sandals, both from Gucci. Bella kept her hair loose, lightly tousled, and parted on the side — much like how the pop diva wore her hair with the outfit back in June. The only visible difference between Bella’s attire and Beyonce’s was their shoe choice. Bella slipped into silver metallic sandals. So, who looked better in her white Gucci jumpsuit and platform heels? No doubt, both are fabulously dressed, but who nailed the outfit with flying colors? And while we’re at it, whose platform sandals look better?